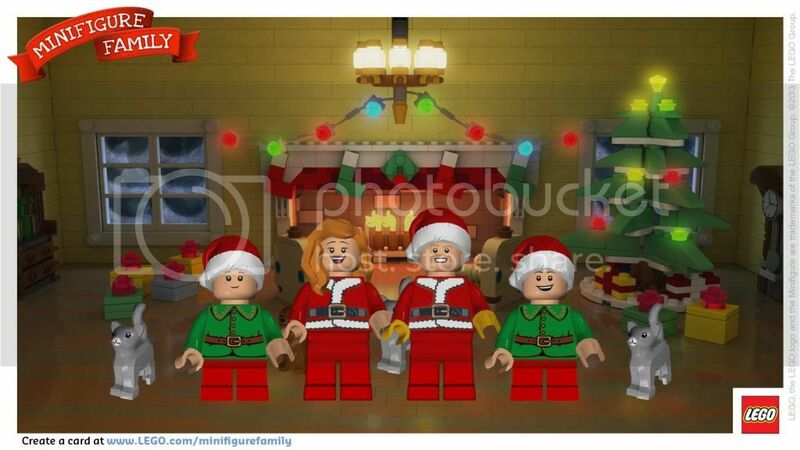 The Monday Blog: Merry Christmas from our LEGO Loving Family! Merry Christmas from our LEGO Loving Family! We've been snowed and iced in for the past week and going just a little stir crazy. I was feeling a little desperate for new ways to entertain Jace when I found the site where you can create your own LEGO Minifigure Family. We had so much fun with it. 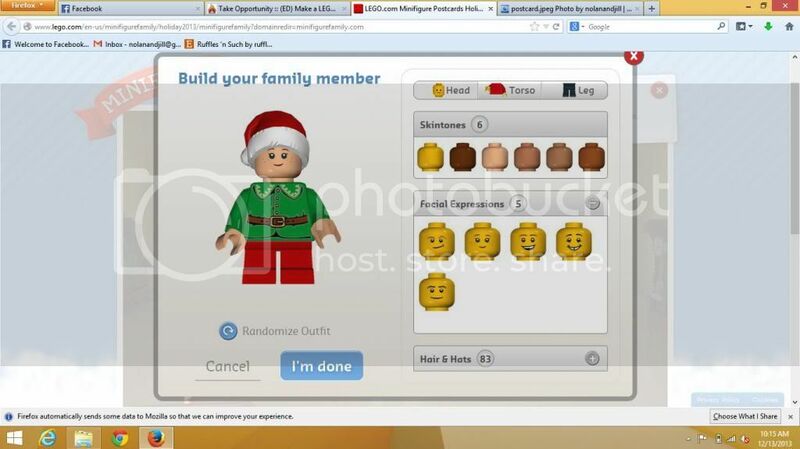 You can customize up to 13 characters--people or pets--with different skin tones, facial expressions, hair styles or hats and clothes. Jace loved being able to try out all the different looks on the minifigure faces. We decided to go with a Christmas family with Nolan and me as Mr. and Mrs. Claus and the kids as elves. We also added in Jace's special stuffed kitty, our two cats and one dog. 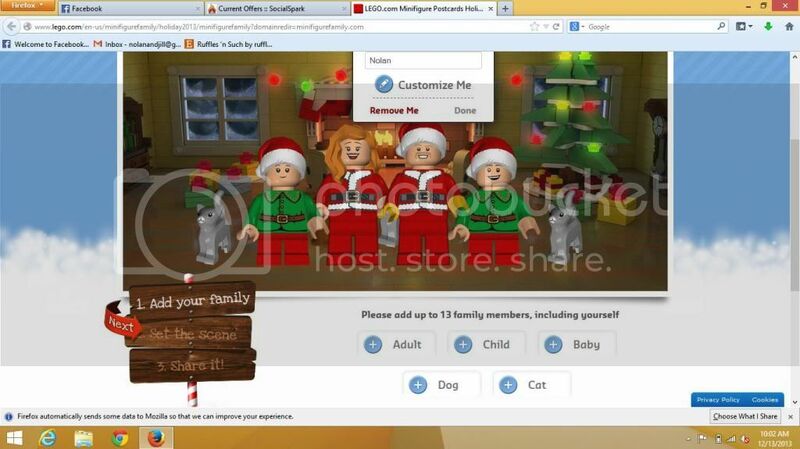 Once you've created all your family members you can select the scene. There were quite a few options to choose from but we chose the classic family home. After you have it all set how you like it it's easy to either download your card or share it through major social networks. I was impressed by how easy it was to create--while my 3 year old obviously needed my help, elementary aged kids could have a lot of fun trying out all sorts of combinations of looks for the people. LEGO Minifigure Family was a fun activity for us to do. If you have LEGO loving kids, I think they would love it as well!